9am Traditional Service (Sanctuary); 9am Contemporary Service (Fusion Center); 10:10am Sunday School; 11:15am Contemporary Service (Sanctuary). Typically, you should arrive about 15 minutes before the worship service starts to allow plenty of time to make your way to the sanctuary or Fusion Center, get a bulletin and find a seat. You may want to arrive a few minutes earlier if you need to take your children to Kid's Worship, Sunday School, or to the Nursery. Greeters in the sanctuary and Fusion Center will welcome you and provide you with a bulletin and any other handouts for the service. Ushers will be available to help you and your family find a seat. Our congregation spans a range of ages and backgrounds. The pastors on-stage may dress conservatively for the traditional service and less formal for the contemporary services, but you'll see people in both types of services dressed in all styles—from jeans to business suits. Parking is available in two lots on either side of the front of the church as well as in a lot behind the church. Parking attendants wearing yellow vests will be directing traffic and will be available to assist you with parking in the most convenient space available. Who Can Help Me Find My Way Around The Church? 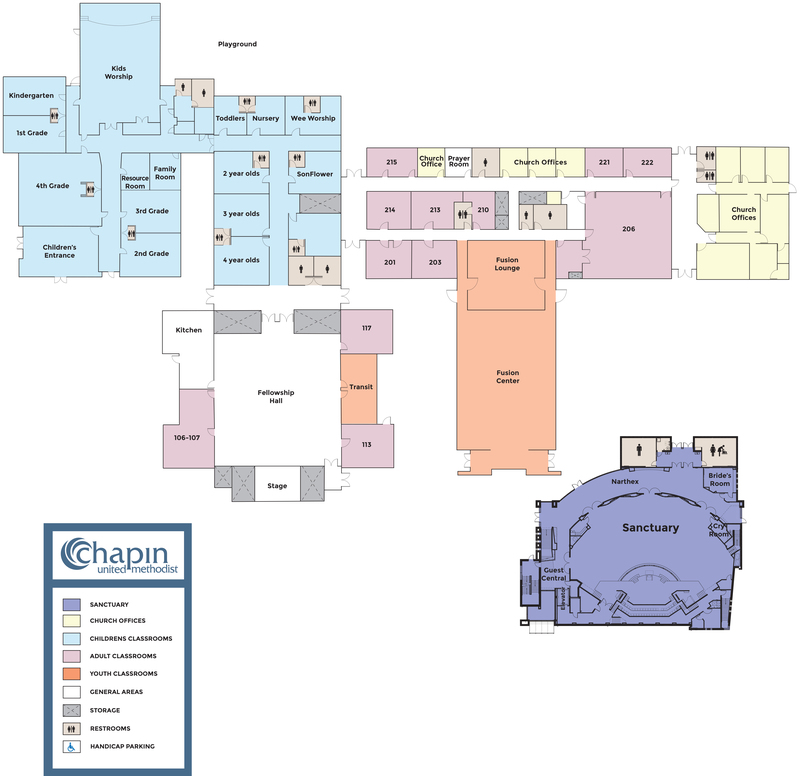 You can also find a map of our campus here.